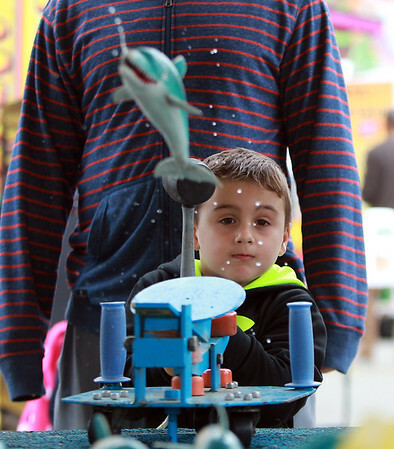 Cameron Brienza, 6, of Salem, NH, watches the flight of his shark after propelling it from a lever with a rubber mallet at the Topsfield Fair on Monday afternoon. DAVID LE/Staff photo. 10/13/14.